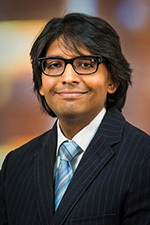 Dr. Patel is an associate professor of pathology at the University of Utah School of Medicine. He received his MD from the University of Arizona and completed a residency in anatomic and clinical pathology at the University of Utah. Dr. Patel then served as a hematopathology fellow at Stanford University. He is certified by the American Board of Pathology in anatomic and clinical pathology, with subspecialty boards in hematology, and is a member of the CAP Hematology & Clinical Microscopy Resource Committee. Dr. Patel’s clinical and research interests are broad and include all aspects of hematopathology. He is keen on application of next-generation sequencing technologies in the diagnosis and prognostication of hematolymphoid malignancies and benign hematologic disorders.